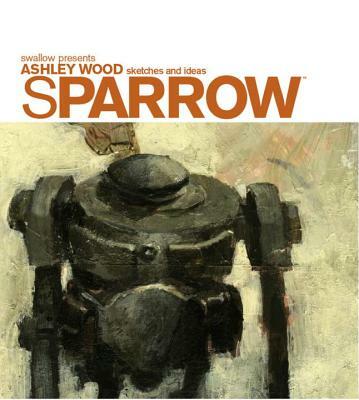 In this special edition of the on-going Sparrow art book series, internationally acclaimed artist and designer Ashley Wood showcases a collection of sketches, rough concepts, and ideas, providing a never-before-seen, unfiltered look at the inner workings of his imagination. From 48 Nudes to Zombies vs. Robots, and now Sparrow #0, Mr. Wood remains as indelible as ever. Ashley Wood is an Australian visual artist perhaps best known for his work on Spawn, Zombies vs. Robots (with Chris Ryall), Popbot, and Metal Gear Solid. He's contributed cover art to titles too numerous to count. In 2008, Ashley partnered with Hong Kong toy maker Kim Fung Wong to form ThreeA, a toy, entertainment, and publishing company known internationally for their intricately detailed and uniquely designed original and licensed collectible toy lines. Ashley has won two Spectrum Awards and been nominated for an Eisner and multiple Eagle Awards.